Nursing homes are being bought and sold in the United States at a rapid clip, raising questions about the quality of care, according to a Harvard University-led study published Monday. Corporate owners appear to target nursing homes beset with problems, and the difficulties — notably health and safety violations — often persist after the transactions, the researchers found. Authors of the study, published in the journal Health Affairs, and researchers not involved with the report said the findings should prompt state and federal regulators to better track nursing home sales and provide more information for consumers about nursing home chains. The lead author of the study, David Grabowski, a health care policy professor at Harvard Medical School, said that ideally, if a troubled nursing home is sold, it would get better. “But that churning does not lead to better quality,” Grabowski said. A Globe investigation shows for-profit nursing homes often are cited for more health and safety problems than nonprofit homes. The study analyzed thousands of transactions from 1993 to 2010, finding that roughly 1,500 nursing homes were sold or otherwise changed hands annually. Those transactions typically involved corporate chains. 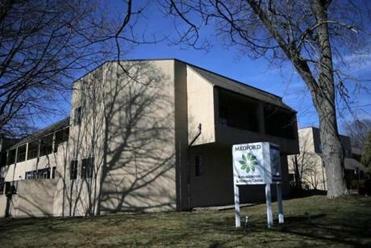 The upheaval in the nursing home industry in Massachusetts and nationally continues, as longtime family-owned facilities falter and sell to corporations. Grabowski and his colleagues found a direct link between the number of times a nursing home was sold in a 10-year span and the volume of deficiencies found by inspectors. Nursing homes that remained in the same hands had significantly fewer deficiencies. Facilities sold multiple times typically saw a corresponding spate of problems. The researchers did not conclude that transactions caused the decline in quality of care; rather, the transactions were indicative of a nursing home in trouble. Each sale or merger usually is accompanied by a change in leadership and staffing at nursing homes, said Charlene Harrington, a professor emeritus at the University of California San Francisco. Harrington has long studied nursing homes but was not involved in this study. Such turmoil is particularly hard on residents, many of whom have dementia and rely on routine to make sense of the world. Harrington said the data should prompt federal and state regulators to include scrutiny of corporate ownership. The current system monitors nursing homes individually through annual inspections. The federal Centers for Medicare & Medicaid Services runs an online report card system, called Nursing Home Compare, that provides consumers with a wealth of data about inspections and deficiencies. But it includes limited information about a nursing home’s owners. “It would be a powerful incentive for chains to improve their quality of care” if that information was included, Harrington said. The American Health Care Association, a national nursing home trade group, disagreed. Crist said providing chain ownership information on Nursing Home Compare would be “misleading” for consumers. “We support quality and transparency, but at the facility level, where it matters most for consumers,” he said. The study did not delve into the reasons for turnover in the nursing home industry, but other studies have linked such turmoil to changes in federal and state reimbursement polices. While the researchers concluded that chains appeared to target nursing homes dealing with quality problems, one specialist suggested another factor could be at work. Jennifer Gaudet Hefele, an assistant gerontology professor at the University of Massachusetts Boston, said the chaotic buying and selling of nursing homes may reflect on the bottom line. “The facilities that were purchased may have been the ones that had higher profit margins,” Hefele said. Hefele said nursing homes with higher profit margins may be spending less on resident care, resulting in poorer quality. A recent Globe analysis of Massachusetts nursing homes found that for-profit facilities were typically cited more often for health and safety problems and frequently devoted less money to nursing care than nonprofit homes. The study authors pointed to new rules in Massachusetts as a potential model for other states. Massachusetts regulators moved in December to require nursing home operators to notify the public before homes are sold or closed, and hearings are mandated for closings. Some sales have raised questions about the quality of care delivered to the 40,000 residents in the state’s roughly 400 nursing homes. The rules require a nursing home intending to close to send written notice to the state health department four months in advance. A public hearing is mandatory at least three months before the facility closes, and a closure plan must be distributed before that hearing to a long list of interested parties. Companies intending to sell a nursing home are required to notify the same list of interested parties, but a public hearing is required only if at least 10 people petition the state health department. Since January, there have been notices for ownership changes in more than 20 facilities, according to state health department spokesman Scott Zoback. The department has not received petitions seeking public hearings, but the time period to request hearings for some proposed transactions has not expired, Zoback said.